President George H.W. Bush at the dedication of UP 4141. 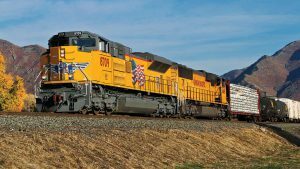 Union Pacific photo. 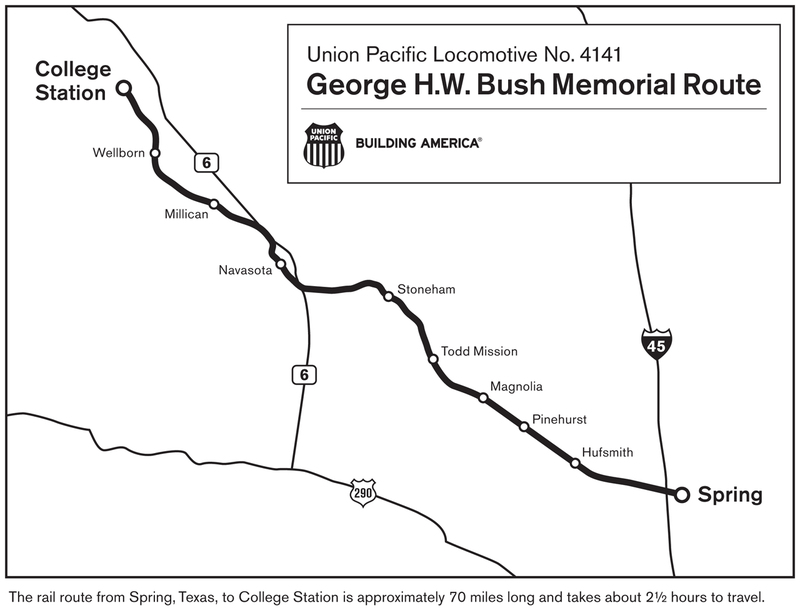 Union Pacific on Dec. 6 will participate in the funeral procession for President George H.W. 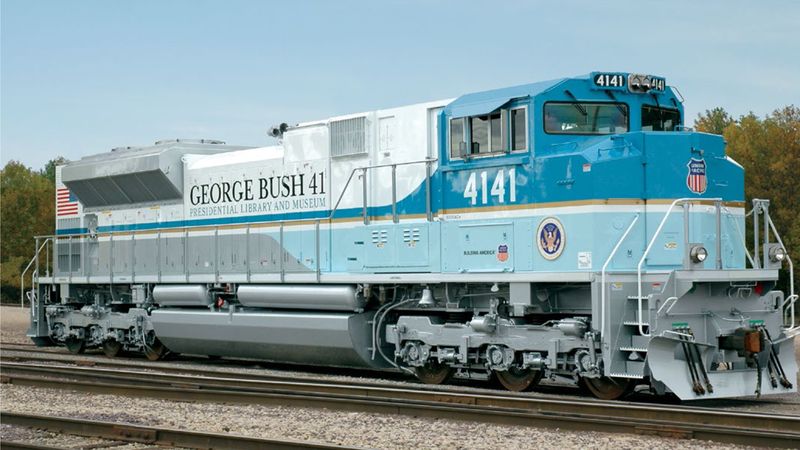 Bush with a special funeral train powered by SD70ACe 4141, whose paint scheme honors the 41st U.S. President. 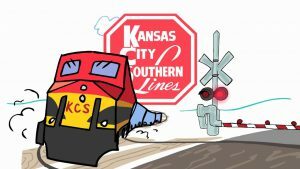 The train will leave UP’s Westfield Auto Facility at 1:00 p.m. and is scheduled to arrive at College Station, Tex. at Bush’s final resting place at his Presidential Library, across from Kyle Field at 3:25 p.m. 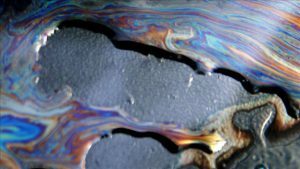 The custom-painted locomotive incorporates the colors of the Air Force One 747 used during Bush’s presidency “and symbolizes national pride and strength,” UP said. 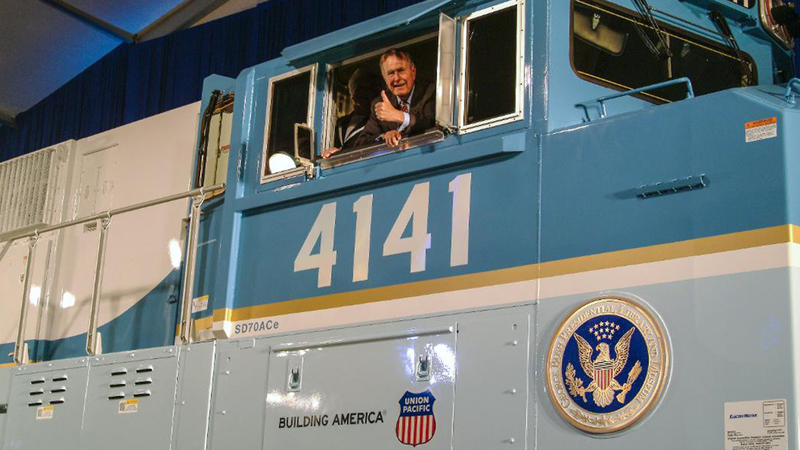 “It bears the number 4141 in honor of the 41st President. 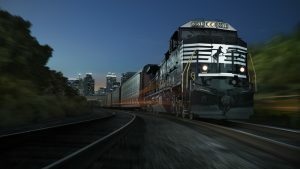 The locomotive’s rear panel features elements from Air Force One’s wings and tail, including the American flag and sweeping lines of forward motion, representing progress. See also this Washington Post story. Additional information on the funeral train and the history of U.S. Presidents and the railroads.